Snorkeling in Belize - "Our Belize Vacation"
Snorkeling is a popular pastime for many here, because the water is pristine and sparkling clear. Shore access is easy and the currents are normally mild. Many people come to Belize for the snorkeling alone. Experienced snorkelers have expressed to us, that they love the night snorkeling in Belize. Out dive operator can take you to the Hol Chan Marine Park for a night time snorkeling trip. Simply ask guest services to arrange this trip for you. You will find, that many of the snorkeling sites off San Pedro are rich in marine life, including hundreds of fish species and a variety of living corals (including elkhorn, starlet, brain, and sheet). You may also come across colorful sea fans, sponges, sea whips, gorgonians, crabs, rays and eels. One word of caution, don't get too close to the nearsighted green moray eel, he can chomp your finger off in the blink of an eye. Snorkelers share the clear waters here with everything from a nervous squirrelfish to the curious grey angels, from jaunty sea horses to parading parrot fish. Large schools of yellowtail snapper, horse-eye jacks, and blue-stripped grunts cruise by, along with spotted eagle rays and purple cleaner shrimp. If you have small children who wish to snorkel, it's wise to hire an experienced guide who can help keep an eye on them in the water. This is an especially exciting experience for young adults, as it opens up their awareness of a whole new world. If you've just arrive in Belize without a tan, it's prudent not to snorkel for more than have a day on your first few attempts. Make sure to keep your back covered (wear a T-short) and wear lots of sunscreen. Your snorkeling guide, will do his/her utmost to ensure your safety during all of the days activities, however, all swimming and snorkeling is undertaken at your own risk. * Do not consume alcohol and only eat in moderation before snorkeling or diving. * Always snorkel with a partner. Ask a travel companion to be your "snorkel buddy". * If you experience difficulty, signal the lookout by waving one or both arms above your head. Please listen carefully to instructions, if you are being rescued. * Do not snorkel in, around or under the platform areas. * If a vessel is approaching, raise your head from the water to observe the vessel and to be easily seen. * If diving below the surface, look up when ascending and place your hands above your head to protect against collisions. * Wear a shirt when snorkeling to protect the body areas from the sun and any marine life that may sting or irritate. * Please be advised that diagnosed or undiagnosed medical conditions pose an increased risk to snorkelers over the age of 50. Precautions be recommended. * A number of marine animals including shells, have defensive mechanism that can sting or even disable a person. It is best to look but don't touch. * Plants and corals may have stinging mechanisms which can be painful or irritating. It is best to look but don't touch, to avoid stings and to avoid damaging them. * Marine jellyfish can frequent our waters (at various times of year). While jelly fish are not harmful, some varieties can cause painful stings requiring hospitalization. * It is important that snorkelers listen to the advice given by safety staff who will advise you of the degree of risk on any particular day. * Be aware of your physical limitations and swimming ability, do not try to exceed these. * Water depth & park regulations prevent swimmers from resting on the ocean floor or coral reef. * Snorkeling can be a strenuous activity, even in calm conditions. If you are 50 years of age or older, or suffer from heart disease, asthma, lung complaints, epilepsy, diabetes, allergies to stings and bites, or any other medical condition which can be made worse by physical exertion, you should take special caution and inform your guide of your situation and snorkel in an area that allows closer supervision. * Select a mask, fins and snorkel that fit your body. * For your own safety, fit and remove fins only on the submerged swimming platform. * Rinse disinfectant solution from your snorkel and mask in salt water before using. * Prepare mask for snorkeling. Spit on inside of glass, rub briefly and rinse in salt water. This procedure reduces fogging. * When fitting masks, ensure your hair is clear of mask. * Place strap high on the back of your head and your snorkel under the mask strap in front of your ear. * Seal lips tightly around snorkel mouth piece and breathe only through your mouth. * To clear water from your mask, tilt your head back out of the water and lift the bottom of your mask to let water drain out. * Clear water from your snorkel by exhaling sharply through the snorkel. * In uncomfortable with your snorkel, please ask a crew member for advice. * Always look ahead when snorkeling to avoid collisions. SPECIAL NOTE: To avoid infection or coral poisoning, it is essential that all scratches or cuts are treated with an anti-bacterial suave. 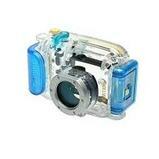 Underwater photography is a favored activity for many divers and snorkelers traveling to Belize. Acceptable facilities are generally available for camera care, but it is best to bring everything you may need for photography, charging and maintenance, including back-up chargers. Though the country isn't well equipped to handle major photography needs, there are disposable and re-usable cameras for sale for snorkelers and shallow divers. Print film is sold at some stores and electronic shops, which may also have some low-capacity memory cards for digital cameras. divers with higher-end-cameras or professional equipment and DSLR housings should bring everything they need, including appropriate back-up (like spare chargers). Larger dive centers often have cameras for hire and usually have a staff pro that can provide instruction, or shoot stills or a personal video of your dive. E-6 processing is now pretty much non-existent, so ask if your dive center offers it before you leave home if you want on-the-spot results. The better boats have large, white Igloo style coolers that can hold many point-and shoots, a couple of DSLR systems or some video housings. These are excellent for rinsing between dives. Ensure your shop has something similar that is full of fresh water - nothing like opening up the rinse cooler and finding it is empty. The live aboards and a few resorts also have dedicated camera rinse and maintenance areas with blowers and charging cubicles.